A matter of a comeback— Rianne ten Haken and Karlie Kloss by Meisel. Kate Moss ph by Inez & Vinoodh, top models themed issue. 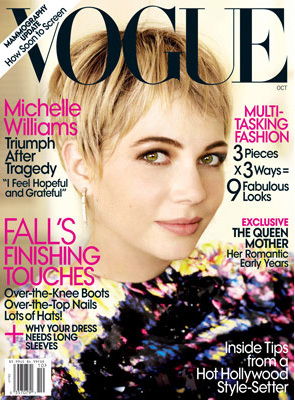 Michelle Williams (a very fresh choice isn’t it?) ph by Testino. See the eds here. 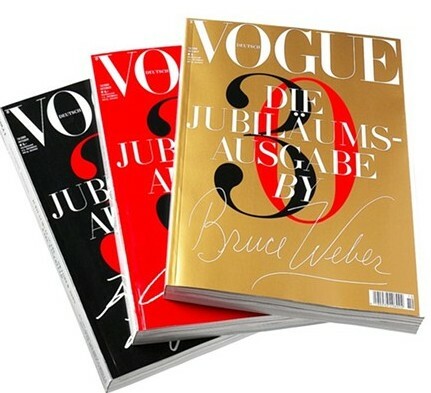 30th Anniversary issue, three different versions signed by Karl Lagerfeld, Peter Lindberg and Bruce Weber. After Emily Didonato, another GUESS model to make a surprise high fashion crossover— Tori Praver, ph by Terry Tsiolis. Natasha Poly ph by Patrick Demarchelier. This issue is dedicated to 60th anniversary of the founding of People’s Republic of China. The Prada coat with star embellishments Natasha’s wearing on the cover is custom made. Media darling Lin Chi-Ling, clad in an all Chanel couture wardrobe for the main ed. Btw, here’s Chi-Ling walking for Lanvin circa Spring ’05. Anna Selezneva ph by Camilla Akrans… reprint of Vogue China July. 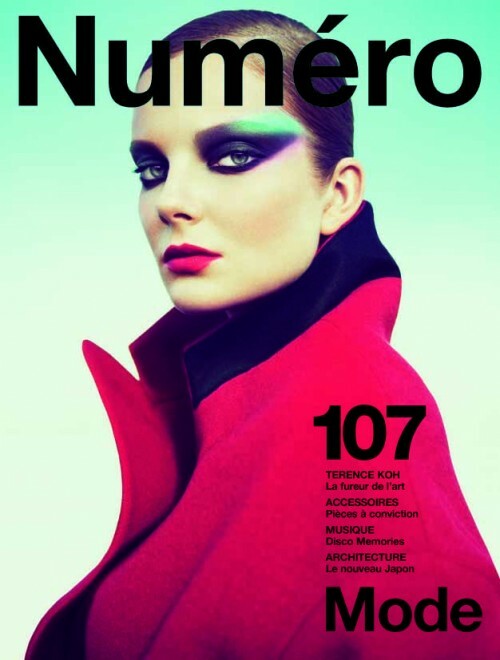 Very strong, striking cover… Eniko Mihalik ph by Greg Kadel. 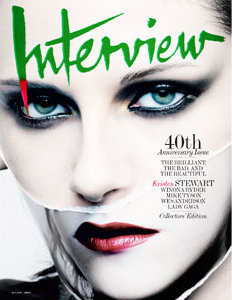 And the twilight mania continues… Kirsten Stewart ph by Craig McDean. Reminds me of the Lindsay Lohan February cover which I loooooove. Guinevre van Seenus ph by Daniel Jackson. Probably one of their best 2009 covers so far. Laneway Festival Singapore 2014 Line-up Revealed!